We are glad to announce the winners of Travel Beats Diwali Photo Contest 2017 at Indian Eagle, a leading air travel booking partner of Indians in America. The lucky winners are Kiran Patil Kulkarni from Georgia, Shikha Chaudhary from California, and Paresh Bahadur Kumar from Florida. 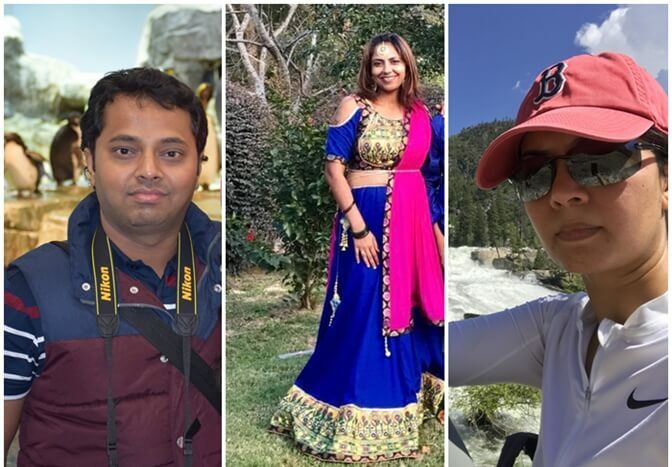 Each of them has won Indian Eagle’s exclusive $150 discount on travel to India from the US. Congratulations! We at Indian Eagle had invited Indians in the US to share their moments of Diwali celebration in order to participate in the Diwali Photo Contest 2017. After all, candid pictures of Diwali celebration tell a lot about us, express our happiness and capture our emotions, no matter where we are. An overwhelming response to the contest from the Indian community in America made it a success. All thanks to the participants! 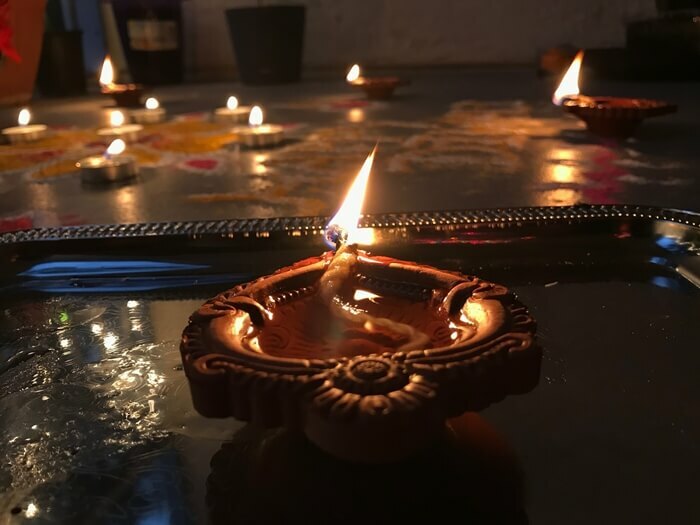 With much discretion, we selected three photos of Diwali celebration out of the entries and chose to share them with the readers of Travel Beats, our exclusive Indian American community portal. Florida-based Paresh Kumar Bahadur shared a quintessential picture of Diwali celebration in Tampa which he calls home thousands of miles away from India. Diwali can be celebrated without crackers and sweets, but this festivity is simply unimaginable without clay diyas which symbolize bliss, knowledge and prosperity. This picture has won Paresh an exclusive “Indian Eagle discount” $150 on air travel to India from USA. This photo of Diwali celebration in Marietta, Georgia is Indian American Kiran Patil Kulkarni’s winning entry in the Diwali Photo Contest 2017 at Indian Eagle. It bears testimony to the fact that Indians hold on to their culture irrespective of which part of the world they are settled in. Draped in a traditional saree, Kiran Patil Kulkarni proves that Indian women look their best in traditional outfits on desi occasions. The exclusive Indian Eagle discount $150 on US to India air travel will be awarded to her. San Jose-based Shikha Chaudhary became one of the three winners of the exclusive “Indian Eagle Discount $150” for her photo of festive decoration with colorful clay diyas on the occasion of Diwali in California. 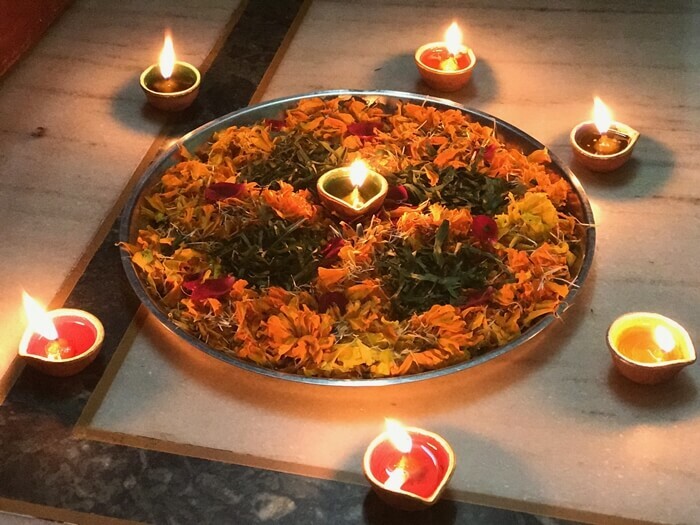 This sort of floor or home decoration is unique to the way Indians celebrate the festival of lights. They make sure that each and every corner of their homes looks and feels festival on Diwali. Indian Eagle Travel congratulates the winners. Do subscribe to our free newsletter for the upcoming contests, the lowest airfare alerts, the best flight deals, the latest air travel updates, visa and immigration news, and interesting stories of Indians in the US. Disclaimer: IndianEagle LLC neither retains nor claims intellectual rights to the three photos published in this post. Indian Eagle is not liable if either of these photos happens to do copyright infringement by resembling or being similar to any third party’s photographs. The respective owners of the winning photos shall be responsible for copyright infringement if there is any.